The Song of India needs no elaborate introduction really. 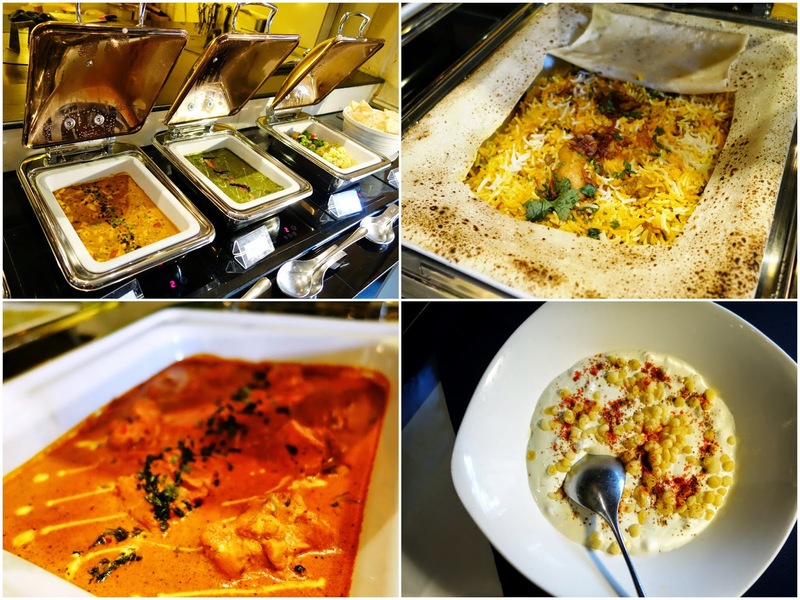 Many of us would have already know that this is one of the better-established restaurants in Singapore, serving up exquisite Indian cuisine since 2006. It has served to be a popular dining destination, one which provides an ideal tranquil setting even though it's located so near to the bustling Orchard area along Scotts Road. My previous visit to The Song Of India was for dinner, and I thought the black and white colonial bungalow in which the restaurant is housed looked very charming against the evening sky. It is just as lovely in the daytime. I would have chosen to dine at the alfresco pavilion if not for the sweltering heat of the afternoon sun. I always had the impression that a meal at The Song of India would probably set me back by quite a bit and leave me on a purse-tight aftermath of an instant noodles diet for awhile, but is surprised to find they have introduced the very affordable Lunch Buffet at $29.90++ from Mondays to Saturdays and Brunch Buffet at $39.90 on Sundays which is inclusive of a dessert spread too. Very worth it, it's..... eat all you can! I believe I'm not the only one who thinks so, because the restaurant is almost full during our lunch visit and most patrons were seen taking food off the buffet chafers. For lunch, selection varies on rotating basis but expect an array of perennial favorites such as briyani and curries. On the day we went, we enjoyed Chicken Dum Biryani, Goan Fish Curry, Butter Chicken, as well as vegetarian dishes like Asparagus Shorba, Jeera Peas Pulao (cumin and green pea rice), Dal Panchmenl (five lentils dal), Paneer Taka Tak (tandoori cottage cheese in onion capsicum masala), Nilgiri Korma (vegetable curry) and Crispy Lotus Root amongst others. During brunch on Sundays, it gets more exciting with an additional live station where the all-time crowd-pleasing Appam or Naan will be prepared ala minute. The selection may not extensive but I like it that there is a good mix of dishes, even for those on a vegetarian diet. Top satisfaction of the buffet lunch was undoubtedly the Chicken Dum Briyani! The texture of the basmati rice was done perfectly, just sufficiently moist with each grain separated and evenly cooked. Tastewise, it was a mesmerizing blend of aromatic spices, totally flavorsome with pieces of melting tender chicken. Both my dining companion and I agreed that it's very delicious! 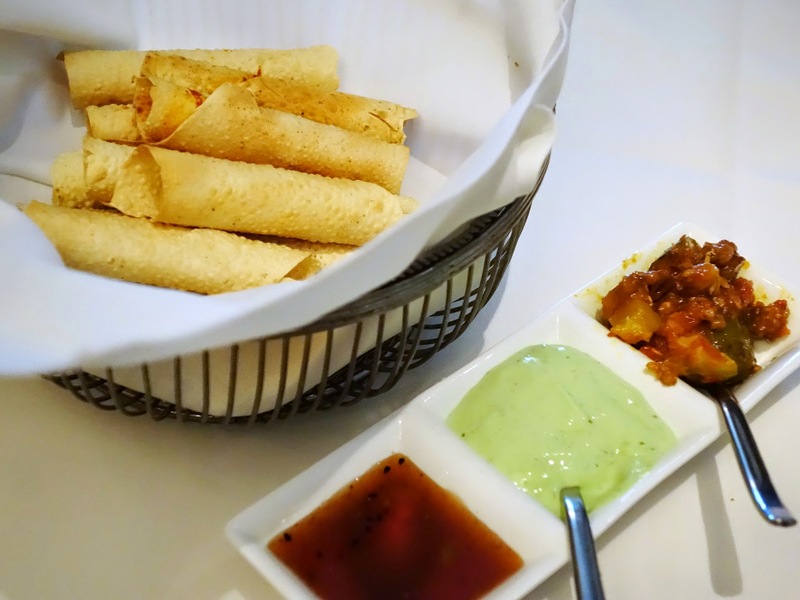 Naan is one of my favourite items which I must order whenever I have Indian food, and The Song of India serves up a pretty delectable version stuffed with blue cheese. The distinctive flavor of the blue cheese was not as sharp as I would prefer it to be, but the warm and fluffy flatbread was still nonetheless enjoyable. A chat with Chef Manjunath Mural revealed his obvious innovative streak which sees him using ingredients that are uncommon in traditional Indian cuisine such as foie gras, black cod and truffle oil, and experimenting with molecuar gastronomy as well. 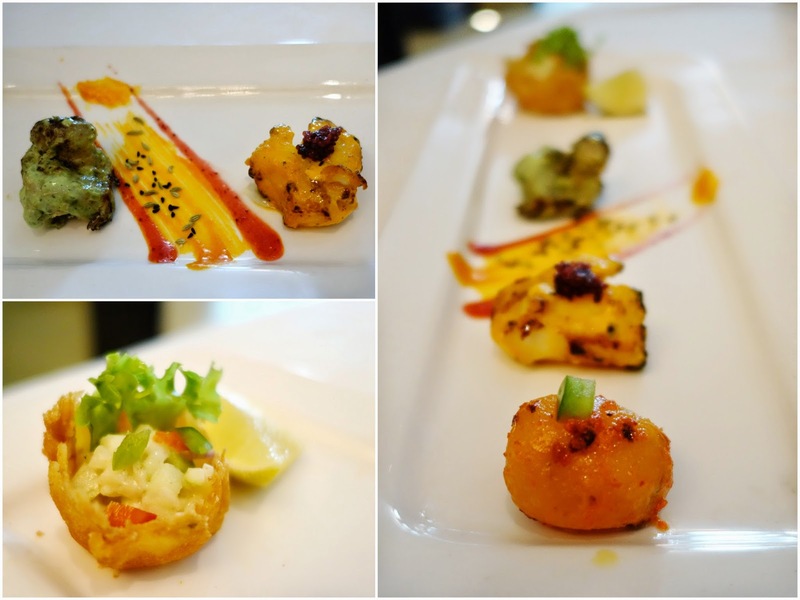 Dishes from the ala carte menu like Star Spiced Foie Gras ($38, pan-seared French foie gras spiced with star anise masala) and Sarson Cod Tikka ($36, chargrilled black cod marinated with mustard oil, coriander and tamarind) certainly redefined our usual perception of an Indian meal. Most of the items we tried from our degustation platter were pleasing, but some tastes gravitated towards the unfamiliar. Though plating is esthetically pleasing with modern and elegant touches, I still prefer a hearty and rustic briyani anytime. 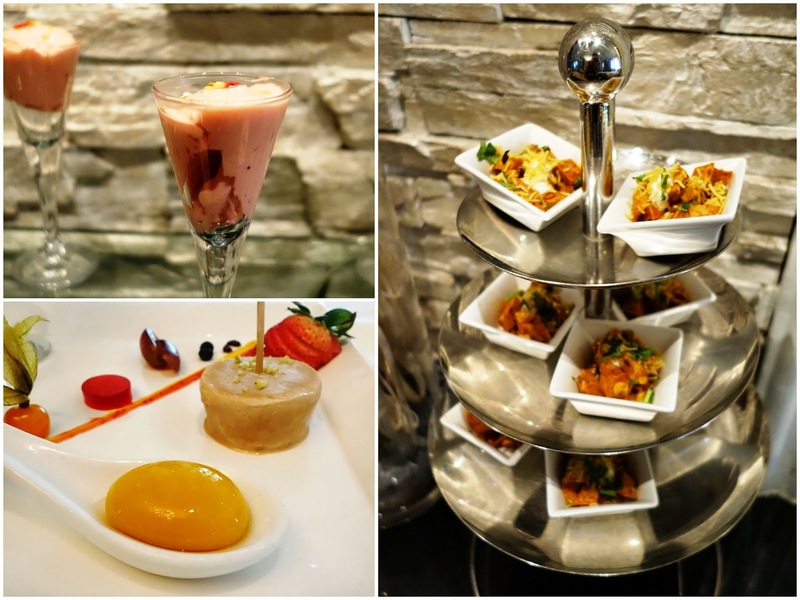 Desserts were highly enjoyable and we ended our lunch on a refreshing note. A Special 4-course Menu is also available at $69++ per pax for lunch (12pm-3pm) and dinner (6pm-11pm) as part of The Song of India Mother's Day Special during the same period. I would love to tell everyone here about the best visa service. It's the http://greenvisa.io visa service. Many people have used that service now and they all like the service.